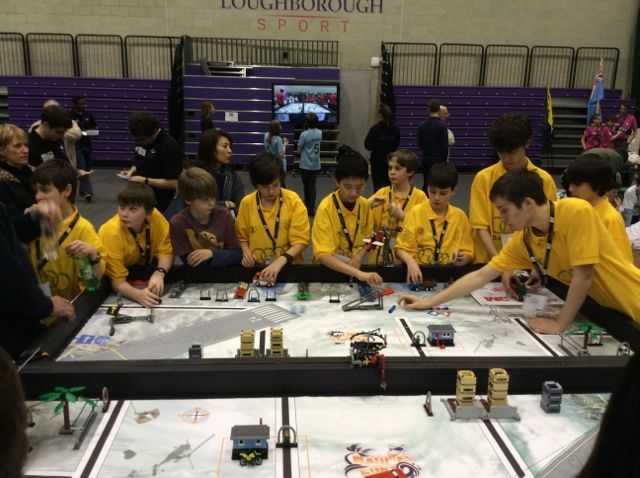 It was a privilege to be a spectator at the First Lego League (FLL) UK Finals at Loughborough University yesterday, where my son’s school team (Beechen Bots from Beechen Cliff School) had qualified in this youth championship for Lego robot design, problem solving and engineering. The thirty teams had members ranging from 9 to 15 and the spirit of the day was thick with focus, intensity, and sense that every point mattered. 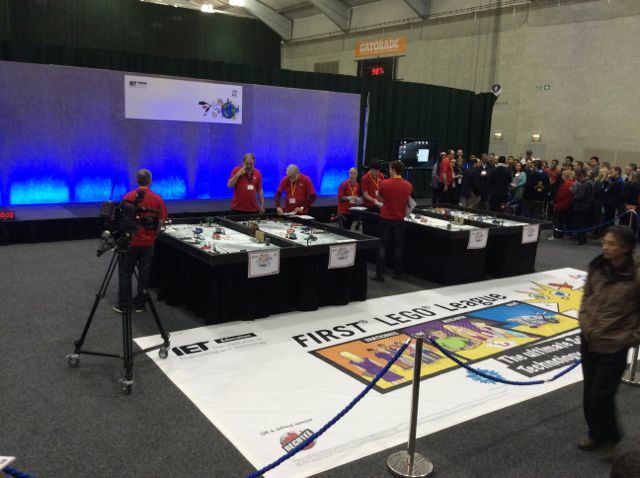 The concept of FLL is that teams design and build Lego Mindstorms robots that are pre-programmed to perform specific tasks against Lego obstacles on a 1.1mx 2.3m matt. Within a strict two and a half minutes, the competitors must release their creation from a paddock area, the only area where they are allowed to touch or otherwise interact with their robot, to venture into the matt and complete challenges which require ingenuity, robust construction, high precision, and a bold heart. There is a strict points system and plenty of penalties to risk if tasks are not executed exactly, or if other obstacles are disturbed. 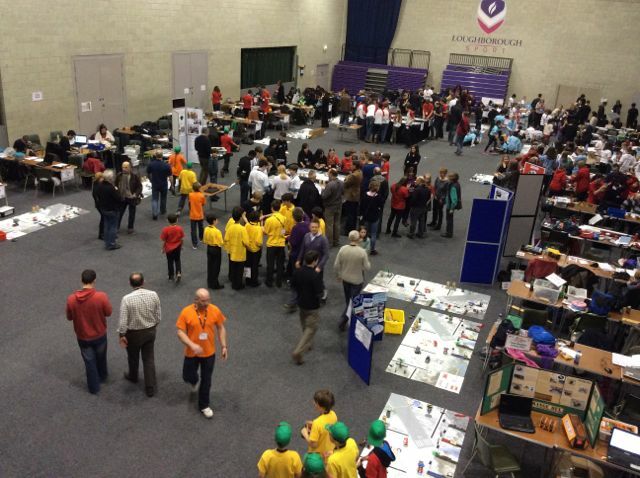 The design of the mats and the challenges to be solved are released to the teams only a few weeks before the initial regional heats, where the teams must rank top to qualify for this UK final at Loughborough University’s Sir David Wallace sports hall. This is not for the feint hearted. At this event, there were three rounds where all teams compete in turn on 4 tables, under the scrutiny of judges. Each round is scored and shown on a leader board. The three rounds are independent and it is a team’s best score across the three that decides if they rank in the top eight. 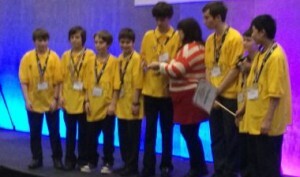 These eight then compete in an elimination tournament to get down to a final where the top two teams battle it out, twice. 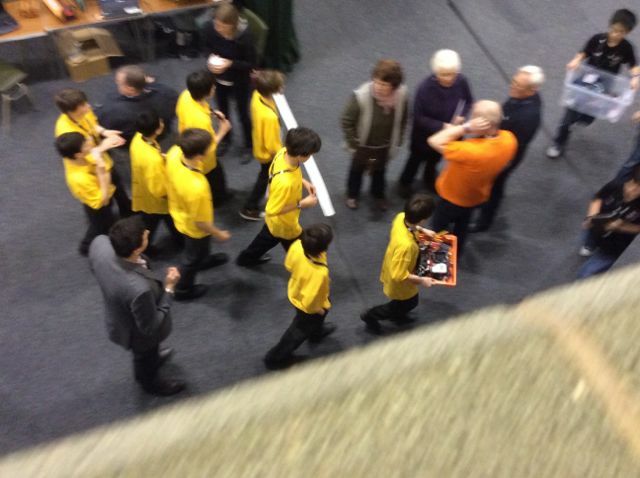 It’s not just about the robotics. 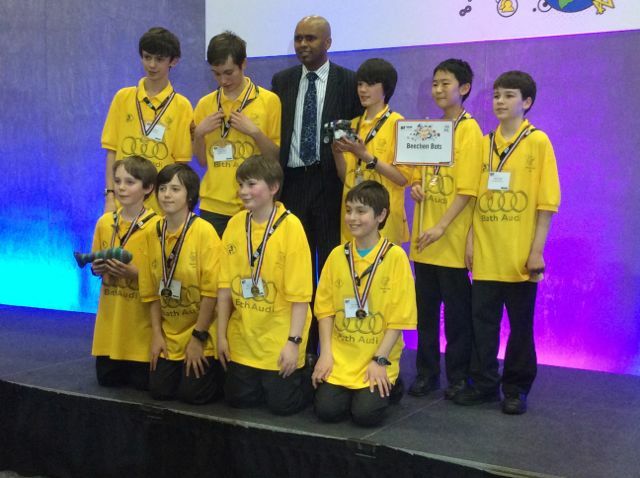 The teams also have to research, develop and present an engineering solution to a real-world challenge – this year nature’s fury. 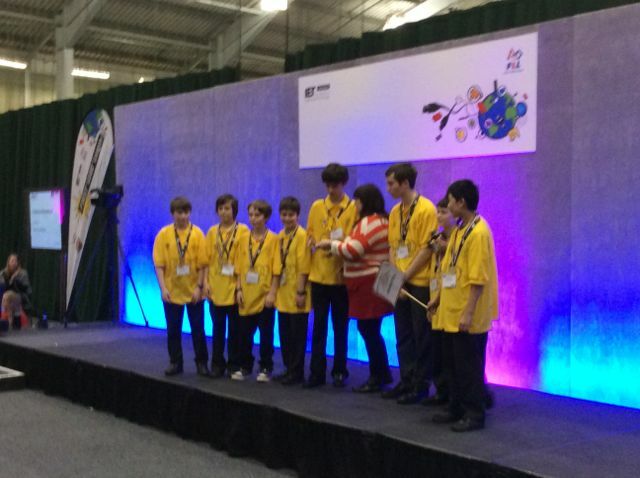 This is all judged, as are the teams demonstration of teamwork, core values, as well as the design concepts they have used. The final rankings take these into account as well as the tournament rankings. 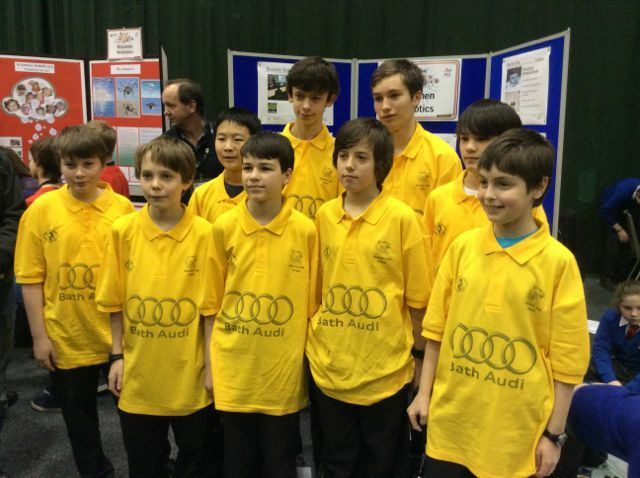 So in credit to their hard work and the great coaching by Mr Bakker and Mr Downing, the boys from Beechen were in the final, after some stunningly high scores in the rounds, topped only by the ingenious but scary creation from Invicta, to whom the Beechen boys eventually came runners-up. 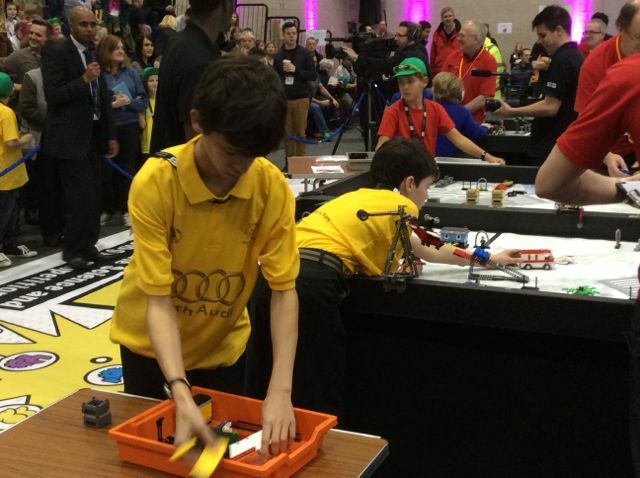 In the pits area, the children spent any available time finessing their robots, and practising timing and positioning on the practice mats. The proud teachers and coaches who oversee the teams had the grace and discipline to back right off and mainly act as ushers to make sure the teams got to where they needed to be for competition and judging, and the day belonged entirely to the young people (boys and girls pretty equally represented), and their creations. Some of these are feats of engineering machismo, others deceptively simple and fragile looking. The passion at the tables was terrific. I came expecting to be impressed by the engineering, design, and programming craft of the kids, but actually this was a gladiatorial combat of the mind. The design work was done long ago. Save for some last-minute tweaks, in this room it was all about nerves, guts and focus. This is sport, no doubt about it. Just waiting to find out if the boys qualify for the European finals in Spain or the world title in USA.